This post is by Danny McMillan, a London-based Amazon Seller who sells in Europe and the US. Danny has previously worked in the music industry and with tech start-ups. He is now a public speaker and regularly co-presents at the UK’s largest Meetup group for Amazon sellers on subjects including PPC and conversion optimization. 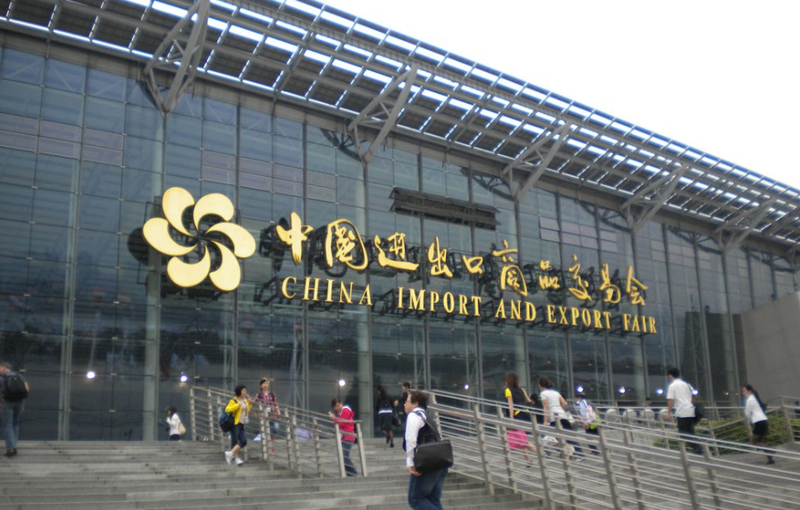 The Canton Fair is a great place to choose for your first product sourcing mission. But to get the most out of the experience, you have to properly prepare for your visit. That can take a lot time when you are learning everything from scratch. I hope that this article will slash your prep time and save you some of the pain my business partner and I went through on our first visit. During my first Canton Fair, I actually over-planned and as a result, most of my plans did not pan out as expected. However, it was still an amazing experience and we learned some valuable lessons along the way. Here are just a few of the things I wish I had been told pre-Canton. I’ve also included some great tips from six Amazon experts I met along the way: Will Tjernlund, Michael Michelini, Chris Davey, Manuel Becvar, Ashley Thompson, Ashish Monga and Greg Mercer. Planning your schedule: it’s not just about the Fair! First off, you will need to determine the length of your trip and which phases you wish to attend. The Canton Fair packs down for a few days between phases so it pays to plan in other sourcing options to make the most of your time. When speaking to Amazon Sellers on the ground the general consensus was to visit either two or three phases, using the gaps between to visit trade fairs in Hong Kong, or niche events within China in places such as Shenzhen. Don’t think that the Canton Fair is the be-all and end-all – Hong Kong offers a lot of opportunity and the quality can be very high. Allow yourself time to take it all in. We managed to cram in Phase 1, then zip over to Hong Kong before making it back for Phase 2. On the last day we slipped in a visit to a factory in Shenzhen. On the last day of a phase, most exhibitions in China start to shut down early. Expect to see them closing from 11am with most being closed by 2pm. Once they start closing it’s like an avalanche, the only reason to go on the last day is to try and get samples. If you are planning to head to Hong Kong between Canton phases, you should sign up for both the Global Sources and HKTDC shows. Both of these shows were perfect for our portfolio and we came away with a lot of new connections and leads for new products. In fact, I found that the level of product quality and innovation of vendors from outside China was higher than in Canton, but this may not be true for everyone. Smart China Sourcing Summit: A popular networking event with lots of knowledgeable Amazon presenters. I did a presentation on PPC and have been asked back again for the October event. This was the pilot event attached to the fair and it was completely focused around Amazon sellers. Yiwu Markets: Alternatively, you could catch a flight out of Guangzhou and head to Yiwu to visit the markets. The Yiwu markets operate all year around with five districts that cover various product verticals. It is advisable to hire a translator or take your sourcing agent with you to communicate. Though you need to dig deep for high quality products, it’s a great place to pick up bargains at low MOQs. It is also only a two-hour journey from Guangzhou, so could be a worthwhile option between pack-downs of Canton Phases. Shenzhen Fair: If you have managed to cover a lot of ground in Phase 2 at Canton you could always take a train or car and head to the Shenzhen Fair. This year it’s their 24th event and it’s most suitable for those looking for gifts, handcrafts and houseware items. Don’t forget to meet with your existing suppliers! We made arrangements to meet ours at their booth in Canton Phase 1. Then we had dinner with them during Phase 2, and discussed new products and some manufacturing processes on our current products. They were amazing all the way through the process, and they helped a lot with translations, hotel bookings and those tricky train tickets to Hong Kong. Our rep took a 30-hour train journey to help with communications during Phase 2, which was an enormous help. I cannot stress enough the value you gain from hanging out with like-minded people, and 99% of the people we met were very open and helpful. I think if we kept it strict and returned to our apartment each night, the trip would have been a lot less fun and educational. Organize meetups for every night. You have nothing to do at night anyways so you might as well use that time to network and learn from other Amazon sellers. There are always a ton of meet ups going on during the Canton Fair so it should not be too hard to find one. Amazon Canton Fair Meetup: Each year Chris Davey hosts a series of Amazon Meetup Events, and this year he put on one for Phase 1 and 2 of Canton with over 100 delegates in attendance. It is held at McCawley’s Bar & Grill. Keep an eye on the Amazon FBA Facebook groups leading up to the event for more details. Startup Bros / Seller Labs Party: This was a glamorous private party and you had to be invited; we got in via one of the WeChat groups. The event was held on the 42nd floor of the Westin Hotel and was short in duration, but the layout and view were pretty impressive. There were lots of friendly faces and established players from Amazon FBA, all rubbing shoulders with new sellers. Global Sources Meetup: This was put on by Peter Zapf, the CIO from Global Sources. It was a held next to the Smart China Sourcing Summit on the 2nd floor at the AsiaWorld-Expo. It was a great event with a mixture of delegates and speakers in attendance. Other events: Lots of little impromptu dinners and gatherings took place over the duration, and we made it along to most of them! Now that you have worked out your schedule, it is time to get your flights, accommodation and visas arranged. We flew with China Southern Airlines, but I wouldn’t exactly recommend them. I wasn’t able to check in online, and when I called them I was left on hold for nearly four hours. When I finally got through, the lady said she was the only rep working and handling all calls. We booked via Travel Trolley and they could not help with any support with regards to China Southern. If you can find another airline, use them. If you are working on a tight budget, then book night flights and try flying on Wednesdays, which is considered the cheapest day to fly. Guangzhou Baiyun International Airport is the main airport for Guangzhou. Before getting your visa you will need to register for a badge and apply for an invitation letter – you need the letter and flight details in order to get the visa processed. I will warn you now, the website is not great and can be extremely confusing to novice users. First go to the Buyer E-Service Tool then click English at the top right to change the language. This is where you apply for an invitation letter. Make sure you have some recent passport photos with a white background as you will need them for your buyer badge and visa application. We then used Chinese Visa Direct as we had a tight timeline and it was our first time completing the paperwork. Each visa cost £195.00 using the standard service, which is £45.00 more than doing it yourself. Even if you use this service, you still have to do some legwork to complete the paperwork. Be aware that if you manage the visa process yourself, you have to book way in advance. I know some people who had to travel hundreds of miles to Manchester to get theirs. Allow at least 4-5 weeks lead time to be safe. We used Airbnb for our accommodation in both China and Hong Kong. This was not without difficulty – every time I mentioned Canton the rates doubled or tripled. In the end I pulled up Google Maps and searched within 5-10 miles of the Canton Fair Complex, but slightly off the beaten track. We stayed near Jiangnanxi MTR (metro station) and had a real struggle the first day. It took us two hours to get a cab as no one (and I really mean no one) spoke English. In the end I managed to get our Airbnb host to WhatsApp me the directions to show the taxi driver. Whilst we saved about $1,000 by using Airbnb, we had a hard time getting around. As a precaution we booked into The Pullman Hotel at Guangzhou Airport for the last day so we did not miss our flight home if the cab failed to show up. In Hong Kong we stayed on the Canton Rd in Kowloon. This was a little easier to navigate. Some people we met made the mistake of staying at the airport near the Global Sources Fair, however the airport is cut off from all the action. One delegate we spoke to even checked out and headed into central Hong Kong after a couple of days. While in China I put out a message to the various WeChat groups people had set up, asking for their opinion on the best hotels near the Canton Fair. The Westin on the Canton Complex appeared to be a popular choice. A quick check for October showed that they charge roughly $500 per night, but if you are on a budget then take a look at Leedon Hotel (GZ) and Yuwa Hotel (GZ) as alternative options. If you are already working with Chinese factories you can ask them to source hotels and negotiate on your behalf. The chances are you will get a better rate and you will be safe in the knowledge you are located near the venue. Register for the Fair at the hotel, this avoids long queues at the Canton Fair itself. Check the website for the nearest hotel that can provide the exhibition badge. Also check for which hotels have a free bus. These leave often and you don’t need to be a guest at the hotel to use the bus. Visiting China and the Canton Fair is not like a typical family vacation where you can book your flights and accommodation, then figure the rest out when you arrive in the country. There are a number of things that will make your life a lot easier if you can arrange them before you travel. Due to the sheer scale of the exhibition venue, it is important to do some research pre-show and shortlist the products and suppliers you are most interested in meeting and then map out your movement among the different halls. This will allow you to ensure you can achieve your key objectives before you get distracted by the myriad products at the show. I took on a VA (virtual assistant) from the Philippines in advance, and spent a considerable amount of time training him to find potential products so I could maximise my time at the Fair. It is very easy to get bogged down in a sea of data. Sourcing and researching can be tedious at best, so paying someone $3.20 per hour made sense, freeing me up to take on more high-level tasks. But finding manufacturers exhibiting at the Fair for the selected products proved really difficult. We used software tools to find keyword variations but still got zero results for many of the niche products we chose. Right up to the moment I boarded my plane, I had my VA contacting relevant suppliers on Alibaba and asking them if they would be attending the Fair, and if they could provide booth details for us to see them. As you can imagine, this was quite stressful but we wanted to be prepared and maximise our trip. The biggest mistake that I see is people going without an agenda. These people hope to stumble across a great product idea at the fair. In reality, it is so large, it is physically impossible to browse and see everything. So instead, if you go there with a list of say 20 products, map out the vendors before you step into the hall, you will save yourself a lot of time, energy, and potentially money. You will likely be looking for a category of a product so you should prepare yourself with some basic prices that you have received from suppliers beforehand. Knowing your prices is essential before going to an exhibition. If you are looking at new products and are not aware of prices try my “rule of thumb” calculation of 30%. Add this and your margin to calculate your selling price. You will quickly figure out if the price the supplier gave you at the booth is realistic or not. Uber: This is a great option, but in China the drivers mainly only speak Chinese so you do need to have someone to translate, but it’s still better than the old-style taxi services. Hong Kong App: There are a few out there, but we used one called Hong Kong Metro. It is very basic but does a fine job of pulling up Metro Stations to help you get from A to B.
Guangzhou Metro: We used the Mapway version and it was an absolute life saver as we could show it to the MTR staff each time we travelled. They would then punch in all the info to sell us the right tickets. Jet Lag App: We used Jet Lag Rooster; it is a simple app that allows you to put in your flight details and timings so it can provide a calculation for when to take in daylight and when to sleep. Evernote: This is great for capturing notes. Take an extra battery pack as you might be using it for hours each day. WhatsApp and WeChat (the Chinese equivalent to WhatsApp): Lots of people create chat groups on these apps during the Fair. These are great resources for arranging meetings as well as staying in touch with home. If you have a VPN setup you can use Facebook as an additional option for calls (direct Facebook access is blocked in China) but the other two more than have you covered. Get a decent VPN and set it up on all your devices prior to leaving. The paid ones work best – we used ExpressVPN and it was consistent. You can set it up with a month’s free trial period and decide whether to keep it on your return. Best hack is to get a good internet connection and a good VPN. It is very frustrating to do business over in China due to the internet restrictions. I stayed at the Ritz Carlton my last trip and the entire hotel has a built in VPN. It made conducting business while in China a breeze and is worth the extra price. There are different schools of thought when it comes to creating your business cards for the Fair. Some put down their position as “Director”, while others insist on downgrading their role to the position of “Buyer” for their company. This is because some feel the Chinese may not take you seriously if you are visiting as a director, and they may think you run a small company. It is entirely up to you, but my take is that if you are out there and your money is good, any business card or title will be fine. Avoid the big suppliers if you’re a small fish. They won’t be interested in your 500pcs order unless it’s high-value items. Don’t pretend you’re a big guy if you’re not, they will soon figure out you are bluffing. Due to the hyper levels of spamming, consider taking two sets of cards. One Chinese seller told me that some salespeople hang around outside and are paid a commission for every business card they collect – so be ready for an inbox firehose if you give your card away freely. If you have a little less budget to play with but want to get a second set done for the spammers, you could use Vista Print. Have special name cards ready for mass spam after the fair. Bring a couple hundred specifically for the fair with your WeChat and QQ handles on them. Alternatively, take pictures with the vendors, capture the booth number and pin the business card onto their catalog page or flyer. This helps humanize the experience and you can send an email on your return when you want to start negotiations. I cannot emphasis enough the importance of good footwear. This is such an important factor due to the sheer size of the fair – I ended up with blisters to the point where I could barely walk. Make sure you pack some Band-Aids and rotate your shoes each day. We stumbled here time and time again, as we were under the impression that we could simply use our credit cards to exchange cash. But no matter where we went in China and Hong Kong, the currency desks would only accept cash for currency exchange. You may find this less of an issue if you are staying in one of the major hotels, but I would advise that you get some cash exchanged prior to leaving home. Take enough to cover the taxi to your accommodation after you land, then use the ATMs in the city or hotels. There are plenty of these dotted around but you need to check if they accept your card type. Taxis are a nightmare to get. You can take a taxi to the exhibition in the morning from your hotel, but in the late afternoon you can sometimes wait up to 2 hours to get a taxi back. There are illegal taxis everywhere but they charge 10 times the price. I recommend you take the hotel bus or the subway instead. There are two subway stations at the exhibition grounds. We use iPhones so we took two additional unlocked handsets and were planning to use local SIM cards in them. However, on the Hong Kong leg we were able to buy an unlimited data SIM card, and inserted it into our mobile Wifi device to we could access the internet from all our phones and laptops. This made things much more economical, and because we carried chargers with us everywhere we went, we had access day and night. A data add-on on my phone network would have cost around £40.00 for only 100MB, so it pays to be organised here. By day’s end you will be exhausted so it makes sense to spend five minutes pre-planning your day. My business partner and I played as a tag-team. While I spoke with the vendor, he took pictures of the booth, the main product, the brochures and business cards, and finally a picture of me and the rep. The images and card shots were a way for us to track the products we liked after our return. Take selfies with the sales reps, seriously! They see so many people over the course of the fair, they aren’t going to remember their own dog’s name by the end. I like to take a selfie, send it to them in the follow up email, and mention something from the conversation we had, so that I can continue the personal rapport we built in-person. That makes the trip to Asia worthwhile, otherwise you might as well just use Alibaba like everyone else! Do you deal with any other Amazon sellers in the US or Europe? How long has this particular product been on the market? What are your lead times on manufacturing? If I was satisfied with the answers, we would exchange cards and I would request an e-catalog to be sent to my inbox. Sometimes they would give me a memory stick or a flyer on the product, but I would never accept a full catalog – who wants to be carrying a heavy stack of magazines around all day? That evening or the next morning, I would log the stand-out products from memory into a spreadsheet and apply notes for reference. Screen new suppliers by asking if they have certificates to sell in your target market, and move on if they don’t. Ask about their latest products or innovations – slight variations on current bestsellers can be a gold mine. Ask where their factory is based and if you can visit, to suss out whether they are a factory or a trading company. And ask if they supply to any big brands – the probability that you will get high quality products increases when the supplier is already dealing with well-known brands. Never place orders right away. You should negotiate prices, ask questions and maybe tell the supplier that you want to order when you are back home. But don’t tell them too enthusiastically that you want to order right away. Why? The prices you get at the fairs are usually not the best prices. You will want to clarify your terms first via email or phone calls before you place an order. Have them sign a purchase order agreement if you need to show commitment. You will be offered a lot of marketing material at the Fair. The best thing to do is choose what you want wisely and use DHL (situated in the halls) to ship it back home. This will be much cheaper and easier than paying for extra luggage at the airport. Alternatively (as mentioned earlier) just take images of the products you want and request a thumb drive or e-catalog to be sent. Before the Fair we had only sourced using online tools and had a set method that was purely data driven, on Amazon and in certain categories. This is both focused and limiting at the same time. When you are sourcing online you have a huge amount of work to do after finding a product. Our process would be to find 20 or so suppliers and then whittle them down to a handful. This could take a week and you still have no idea how good the samples will be. On the ground it is the reverse, you see a product that catches your eye and then engage. It’s all done in a matter of minutes before moving on to the next booth. We made changes to our selection strategy while we were there. Because of the type of products we were interested in, we offered suppliers a partnership deal, giving us exclusivity to sell on Amazon to avoid a race to the bottom. On the last day prior to coming home, one of the factories sent an Uber car to take us to Shenzhen, look around and agree terms (subject to pricing). Getting insights like this was invaluable. We spotted lots of manufacturing issues which could be improved to reduce wastage. We went into the trip expecting to pursue private labels, but now we will diversify and do exclusive deals to build out our product line faster. You get to see all the new products prior to full release (most companies do not keep their Alibaba page up to date). You get validation and more respect because you got on a plane and met them face-to-face. You find vendors that are not even in China, let alone on Alibaba. You get to handle the product prior to the sample stage. You can get eye contact, body language and understanding if you are dealing with a factory or trading company. 99% of Amazon FBA sellers will not attend fairs. After returning from the Fair, the first thing I did was digitise everything from business cards to product information. On reflection what we should have done is use Evernote to group and log product details after each booth visit – this would have only taken a couple of minutes at the time, and would have cut out the indexing each day on the trip as well as prep work at the office. We had nearly 600 images to filter through and label. After various attempts to download them we settled on using the WeTransfer iPhone app. Do you sell this product to Amazon sellers? What is your unit price? Please can you provide shipping info so we can get our freight forwarder to provide a shipping quote? Yes, we asked the Amazon question again; this was to check if they were being honest. The remaining questions establish the quickest route to the numbers. We have an automated spreadsheet to plug the numbers into, allowing us to find out quickly if we can make it work profitably. I would then search Amazon to check that the product wasn’t already being sold, and do a reverse image look up on Google to double check. Once we were confident that we had kicked out the losers and reduced our list considerably, it was time to go into deeper negotiations. Accommodation: Stay in good hotels with access to English-speaking staff, shuttle buses and close proximity to the complex. If like me, you have special dietary requirements, make sure you check out the hotel menu prior to booking. Comfort: Take an extra pair of comfortable shoes and rotate. We did an incredible amount of walking and my legs were in constant pain, not to mention all the blisters. I had to load up on Band-Aids each day just so I could walk. Flexibility: Avoid over-planning and try to go with the flow. I spent a lot of energy figuring out all possible outcomes for the trip, none of which went to plan. By being flexible we gained much more for our business. Planning: However, it is important to have an idea of what products you are interested in and work out a schedule ahead of time. For example, the pets section (which is a large market on Amazon) was very limited at the Canton Fair (25% of one hall which took less than an hour), and was almost entirely overlooked at both Hong Kong shows. If this is your area, it may not be worth the trip. Home and kitchen on the other hand, is a huge category, and you have plenty to choose from. Pick your Phases wisely. Networking: Do network and join all the groups on WeChat etc. This will add to your experience. If you want to optimize your time, are lost, need a translation, or have a product question, just ask the groups and they will fire back answers. Airlines: We did not have a good experience with China Southern, but some of the other delegates spoke highly of Turkish Air. I am not a fan of connecting flights (Istanbul) but on the flip side it will break up the journey and at roughly £350.00 per flight it is worth considering. Next time around we will cut out the zig-zagging with a flight into Hong Kong, and train tickets pre-booked from HK to Guangzhou. We would then spend a couple of days at Canton Phase 2, followed by two days at the Yiwu markets with a sourcing agent, then fly out from the nearest airport – this will shave 2-3 days off the trip. Sourcing methods: As we had been sourcing in just one way, it put incredible limitations on us to find products. With everyone using the same tools, platforms and product filters, it made it very difficult to find low-competition products that stood out. Most Amazon sellers will never attend the Canton Fair, less so the events in Hong Kong and the markets in Yiwu. I estimate that the trip will put you about 6-12 months ahead of the competition before the new products turn up on Alibaba. Speed and tactility: The ability to reverse the process and skip the tedious process of contacting 20-30 vendors, boiling them down to the chosen few, then finding that the quality is poor and you cannot make the numbers work. By spotting the product first, you cut out the guesswork as you get to handle the sample and learn about the company. Indexing: While we had a good system in place, we still managed to spend a tremendous amount of time collating and digitising both on the trip (1.5 hours per day) and on our return (two full days). Next time we will apply the same methods from earlier but use Evernote over Wifi – it should take less than five minutes at each booth. Scale: We have built a great network of people including translators, consolidators and sourcing agents. Added to the benefit of face-to-face time with suppliers, this means we can get scaling up fast and have a support network on hand to make sure everything runs smoothly in the future. We went to the Fair aiming to widen our product pipeline. We had been having a lot of different problems with finding the right balance of product selection and sales velocity, plus we had issues with the supplier negotiation process and sample quality. This caused us to abort a few times late into the process, which left us both frustrated at the lost opportunity. For our business, the trip to China and Hong Kong was a revelation. It was a fantastic experience, to the point where I was already making notes on the flight home about our return visit in October. I hope that sharing our experiences will help you make the most of your own trip. Let me know if you have any questions by posting a comment below. Wow! Thank you so much for sharing your experience about the Canton fair. I found your insight extremely thorough and helpful. If I ever have a chance to go, I will be well prepared. I did some additional reading on Google and wow it's huge. Magda This is my friend's experience, I just shared. It is like thousands of Walmart supermarket.